"File not found or file received has length zero". However, disabling Jolt Pooling is hardly an ideal solution. 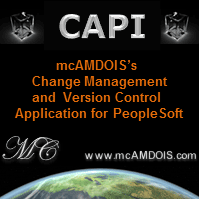 In earlier documents, Oracle states that the issue was resolved in later versions of PeopleTools 8.48 and 8.49. However, as indicated by document ID 1162742, the problem is back in PeopleTools 8.50. This wiki article explains two issues related to this problem and proposed solutions for both of them. The issue is around the location of the PSFTP folder which is created in a temporary directory on the application server and the files in this folder must be shared across all application server domains and servers for file attachments/grid exports to work correctly. It will then dynamically change the temporary folder location for each user. This causes havoc with the application server which might expect the temporary directory to exist under C:\Temp only. This requires a restart of all application servers. However, all domains need to point to a single location. Notice the 5 digits after the domain name (e.g. 11111 in APP01_11111). I'm not sure what these numbers mean, but they seem to stay consistent, so you can (as far as I know) assume that the folder name will remain consistent. That is, you won't suddenly get a folder called APP01_54321. Well that's the theory anyway. The solution involves creating a common folder on one server, and then pointing all application server domains to it from each application server machine. For instance, on application server 1, create a folder called C:\Temp\PSFTP\Common. Then point the individual application server domain folders to it using a symbolic link. Repeat the same thing on application server 2. You can use the mklink command in Windows to do this like so (assuming %TEMP% is pointing to C:\Temp) - this will vary. On the second application server machine (note these point back to application server 1). What this effectively does is create symbolic links for all 4 application server domains, on both application server machines that all point to one folder, C:\Temp\PSFTP\Common\ on application server 1. There's an obvious limitation with this in terms of failover - file attachments/grid exports will stop working if application server 1 (and therefore the C:\Temp\PSFTP\Common\ folder is unavailable. However, this beats having to disable jolt pooling. Once this has been put into place, file attachments/grid exports should hopefully start working.